This page is dedicated our amazing volunteers who have gone above and beyond to support our Foundation. They have dedicated countless hours and invaluable skills to help others. Please click on the profiles below to read more about our volunteers. Aaron S. Book is a founding partner of Webster Book LLP, located in Alexandria, Virginia. He has been named a “Top Lawyer” by Washingtonian Magazine, is listed in the “Best Lawyers in America®,” and also is named a Virginia “SuperLawyer®.” Aaron maintains an active trial practice in both civil and criminal law. In addition to federal and state trial work, Aaron has argued cases before the Virginia Supreme Court. Aaron’s trial practice areas include complex commercial disputes, white collar criminal defense, partnership disputes, real estate disputes, professional malpractice, and general criminal defense. Recent criminal cases include murder, bank robbery, assault, grand larceny, and drug possession. 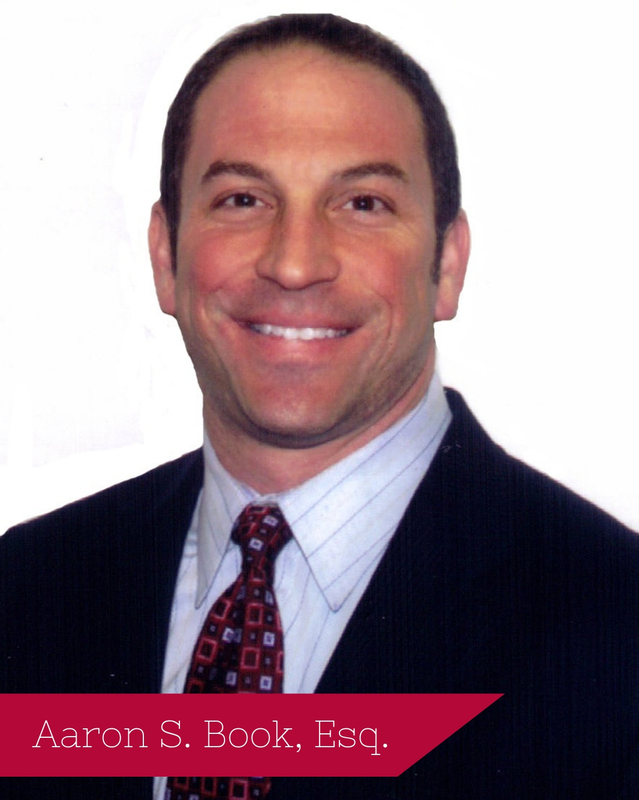 Aaron is licensed in Virginia and Washington, D.C.
Aaron lives with his wife and twin daughters in Washington, DC, and his hobbies include weight training, boxing, and guitar. "If I didn't practice law, I'd do what everyone wants to do: be a musician or in the movies. But I'm neither talented nor attractive enough to do either." "I worked as a dairy clerk at Shoppers Food Warehouse at Fair City Mall in Fairfax during the day and bussed tables at a bar/restaurant in Annandale at night. I actually was pretty good at both of those jobs." "I would choose the ability to predict the future. Is that an officially recognized superpower? If not, then probably invisibility." "Is that a serious question? I took an undergraduate acting class during my third year that probably helped me in the practice of law more than any other class. I guess evidence was helpful, too." "I was the drum major in my high school marching band." "I do a lot of work with juveniles in the court system. I participate in the Devonshire Program speaking to students to hopefully help them make better decisions by thinking of the real-life consequences of actions." "My partner, Steve Webster, has had the biggest impact on my legal career. We both worked for a large firm then formed Webster Book LLP in 2005 while having lunch at Tippy's Taco House. He is the smartest and most creative trial lawyer I know. Truly amazing to see him in action in court. We both were lucky enough to be mentored by Grayson Hanes, who is a legend." Joanna Faust is an Assistant County Attorney in the Office of the County Attorney in Fairfax. Previously, she was an Associate for CameronMcEvoy, PLLC for over five years. Joanna attended the Antonin Scalia Law School at George Mason University. Upon graduation in 2006, she immediately became a Law Clerk to Hon. Robert W. Wooldridge, Jr of the Circuit Court. "A teacher. I’d love to teach high school math or English, and I often think I should have majored in Education!" "A cashier at a little Chantilly store that sold party supplies called Party Animal. I was (and am) a bookish nerd, so it embarrassed me greatly to wear my 'Party Animal' work shirt." "Flying, so I would never worry about being late for court again." "Favorite class in law school?" "I was bitten by a monkey on a high school Spanish trip to Costa Rica, but no far have shown no adverse health effects (knock on wood)." "There are a lot of good and valuable ways for lawyers to donate time or money to assist our community. There aren’t many that are as hands-on and direct as what the Fairfax Law Foundation does. The Foundation provides an immediate benefit to local students through the Court Tour Program, the Speakers Bureau, and the Devonshire Program, among others, and helps lawyers and parties both through the Conciliation Program and Pro Bono Center. It feels good to be a part of that." "My first year in practice was spent as a clerk to Judge Wooldridge at the Fairfax Circuit Court. I think that year was worth 10 years in terms of what I learned and how it shaped my philosophy towards how I practice law. I have never met a more intelligent, reasonable, or fair practitioner, or one who inspired me more to strive to be a courteous, but zealous, advocate."